Intel is still going full force with their Optane technology. For data-center you have already seen a thing or two. For the regular consumer the cache Optane products Intel can't even clear stock of the Optane SSD 8000p giving it away for even for free. However as mentioned a while ago, there is something new on the horizon, the Intel Optane SSD 900p SSD which uses a PCIe 4.0 interface. News reaches us through our Dutch colleagues of HWI who noticed that 900p SSDs are on pre-order at Centralpoint with a release tomorrow. The Optane SSD 900p will become available as an add-in card or U2 version (with optional an M2 to U2 converter). The units released will be a 240 and 480 GB version with corresponding prices of almost 600 and 1000 EUROs (which is roughly four times that of a Samsung 960 Pro). 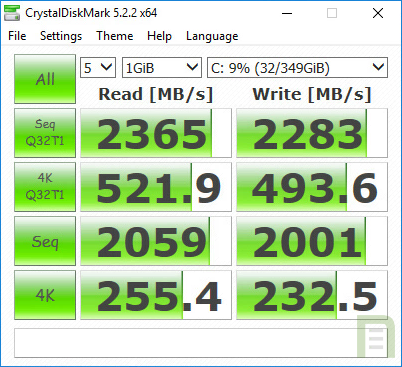 The Optane SSD 900p should however be an IOPs marvel. Interestingly enough the add-in card version is listed by Centralpoint as being a PCI-Express 4.0 compatible product which means 8 GB/s bandwidth is in vicinity, obviously it would be backwards compatible with PCie 2.0 and 3.0. Earlier on we already reported about Optane 900P in this news item. Obviously it could also be a typo from Centralk point meaning PCIe x4 as in Regular PCIe Gen 3 with a x4 lanes link. The 3D XPoint memory based SSDs will get sequential read and write performance at a suggested 2.500 and 2.000 MB/s with roughly 500K IOPS based on 4K random writes. The power consumption of these devices will be running up-to a high 18 Watt, in Idle that is 5 Watts. The SSD will become available through add-in card (PCI-Express) as well as a U.2. interface based 2.5" unit. As you can see from the image, Intel merged its storage chips on a PCI-Express x4 interface and as we know now Gen 3 and 4 compatible add-in card.